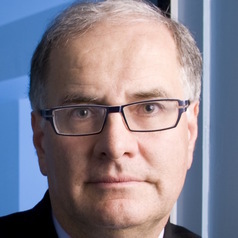 Samuel Berkovic is Laureate Professor in the Department of Medicine, University of Melbourne, and Director of the Epilepsy Research Centre at Austin Health. He is a clinical neurologist and clinical researcher with a special interest in establishing close research links with basic scientists. His group, together with molecular genetic collaborators in Adelaide and Germany, discovered the first gene for epilepsy in 1995 and subsequently have been involved the discovery of many of the known epilepsy genes. This has changed the conceptualisation of the causes of epilepsy and is having a major impact on epilepsy research, and on strategies for diagnosis and development of new treatments. He is currently a principal investigator of Epi4K, the NINDS Epilepsy Genetics Center without Walls? He also has active research interests in surgical evaluation and outcome, new onset seizures, treatment of epilepsy and imaging in epilepsy and in Australia heads a large Program Grant integrating genetic, imaging and physiological studies in epilepsy.